Chicago Justice has a major Law & Order connection — can you guess what it is? There’s no official premiere date just yet for Chicago Justice, but that doesn’t mean we don’t have any scoop to throw your way. Actually, this is something Law & Order fans will want to hear as well. 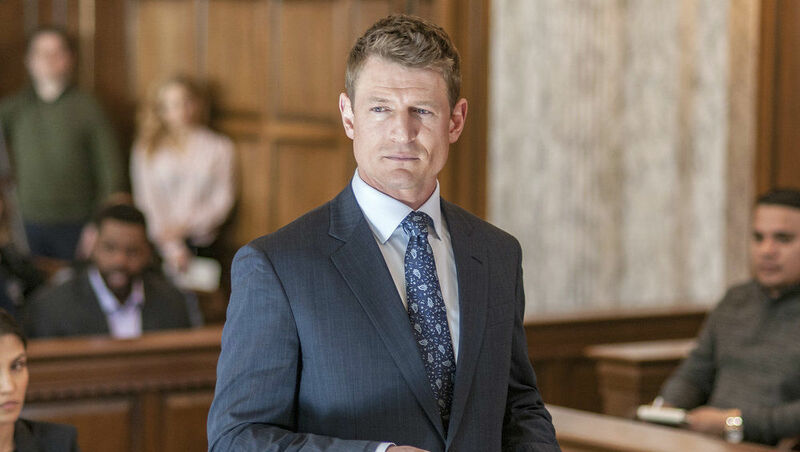 During NBC’s One Chicago Day in October, executive producer Michael Chernuchin (who also worked on Law & Order) offered up a juicy detail about Justice‘s leading man, Peter Stone, played by Philip Winchester. Apparently, Peter has a familial connection to a well-known Law & Order character. To be more specific, Peter’s father is a lawyer. Hmm… who could it be? Allow Chernuchin to blow your mind. “Here’s gossip for you,” he told reporters. “Were you a Law & Order fan? 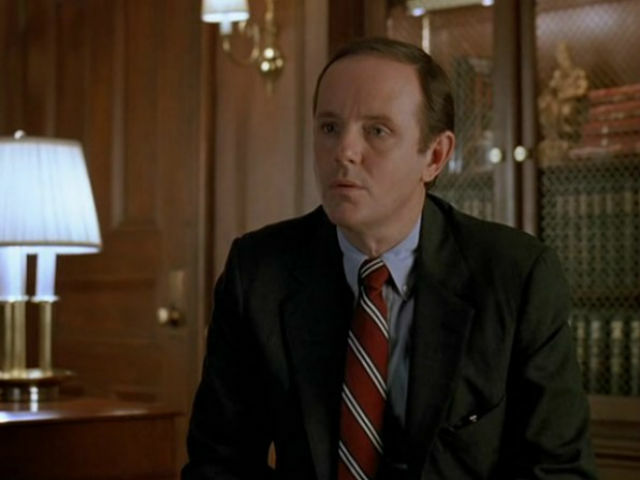 Do you remember Michael Moriarty? Remember what his name was? Ben Stone. [Peter Stone] is his son.” Were you expecting that? For those who need a refresher, here is a photo of Moriarty as Ben Stone. Obviously, Peter then started practicing law. More of his past will most likely be revealed throughout Season 1 and possibly in future seasons, depending on how well Justice performs. Let’s be honest, when hasn’t a Chicago series done well? Whatever the case, Chernuchin said that Peter drops a line in an episode hinting at who his dad is. “He’ll say in one of the episodes, ‘Yeah, my dad is back east practicing law. '” So, if you weren’t an avid Law & Order watcher or have never seen an episode, now you know who Peter is referring to. Even though there is no official premiere date for Chicago Justice, at least you now have something to look forward to whenever it finally debuts.